This disturbing thing keeps happening to me, where I say or do something exactly like my mother. I don’t know what’s going on. I swear I don’t mean to, but I keep noticing it. Now, things could be worse. I mean, my parents are both wonderful people. My dad is the cool-headed, logical, calculating type. He is one of the wisest people I know, and he is constantly learning, so he knows basically everything (seriously. Ask him a question). He always made family important. Even though he’s a self-made, successful businessman, he has such a generous heart. My mother is one of those fun, spontaneous, chatty people that you just inherently like – you can’t help it. She is sweet and caring, and she has this incredible integrity about her. She is friends with people who have nothing, and people who have far more than they need, and she treats them all the same. She has this way of valuing people and treating them with that knowledge in mind. While I’m not a carbon-copy of either parent, I have always been more like my father. We both lean toward organization, cleanliness, and liking to be prepared. We’re both introverted, and have similar thought processes. My mom has always done things differently. She is very ‘in the moment’, and thus tends to overlook some details – such as, where she left that thing she was just holding. 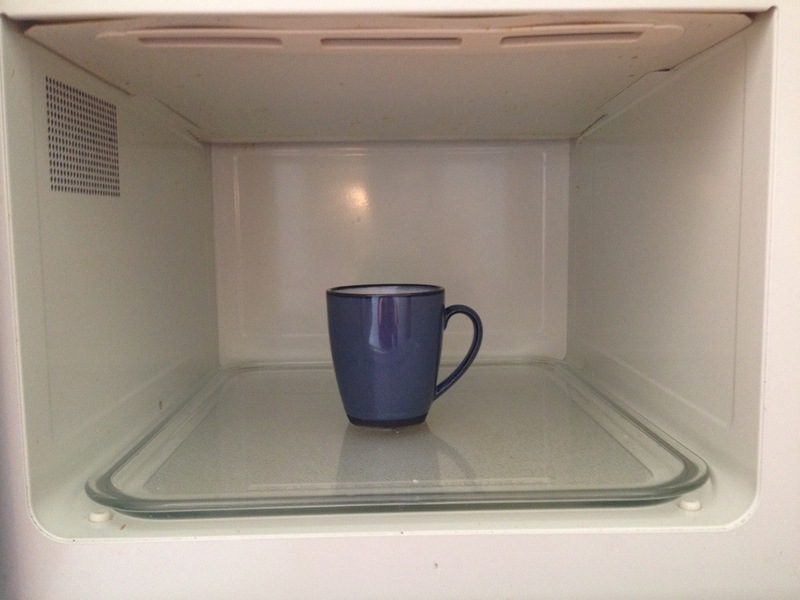 Coffee left in the microwave. From the day before.